Jules Verne is regarded today as nothing less than the father of science fiction. His novels, including Journey to the Centre of the Earth, Twenty Thousand Leagues Under the Sea, and Around the World in Eighty Days, aren’t simply famous – they’re a part of popular culture, as well known today as they were upon their release over a hundred and fifty years ago. Verne was a voracious reader, of fact as much as fiction, and much of his interest in writing science fiction stemmed from its usefulness as a medium to explore and experiment with all of the knowledge that he acquired through his reading. As a young man, Verne also possessed a romantic bent, which unfortunately for him did not translate into success in love. Verne’s two great loves as a young man – his cousin Caroline and a girl he met as a student in Nantes – were both married off to much older men soon after he met them, much to his heartache. In some ways it is the (failed) romantic side of Verne, just as much as that with an interest in science fiction, that led to the writing of Le Rayon Vert. The Green Ray motion picture was directed by Eric Rohmer in 1986 and won many international film awards. Although it has a completely different plot and characters, the film shares two things with Verne’s novel – the ‘green ray’ effect and the theme of love. The heroine Delphine has just suffered the breakup of a relationship at the start of the film and this seems to drive her into restless travelling. She leaves Paris, then quickly returns, travels alone to the Alps, but is put off by hordes of vacationers and turns around again. The green ray is used as a central image providing meaning and guidance for the troubled Delphine. Verne’s book is discussed at length in the film as a “fairytale love story” whose protagonists are consumed in their search for the rare meteorological phenomenon. Believed to give a heightened perception to those who view it, one of the characters further explains that “when you see the green ray you can read your own feelings and others too.” Seizing this idea, Delphine uses her own search for the ‘rayon vert’ to help overcome her crippling fear of intimacy. It has to be said that the idea in both the film and the novel that one can predict where and when to observe the green ray has no scientific basis. Green flashes occur because the atmosphere can cause the light from the sun to separate out into different colors. Green flashes are a group of phenomena which stem from slightly different causes, and therefore some types of green flashes are more common than others. A green flash is more likely to be seen in stable, clear air, when more of the light from the setting sun reaches the observer without being scattered. One might expect to see a blue flash, since blue light is refracted most of all, and the blue component of the sun’s light is therefore the very last to disappear below the horizon. The green colour therefore seems to be the one genuine mystery concerning the phenomenon for which there has not yet been a satisfactory explanation. 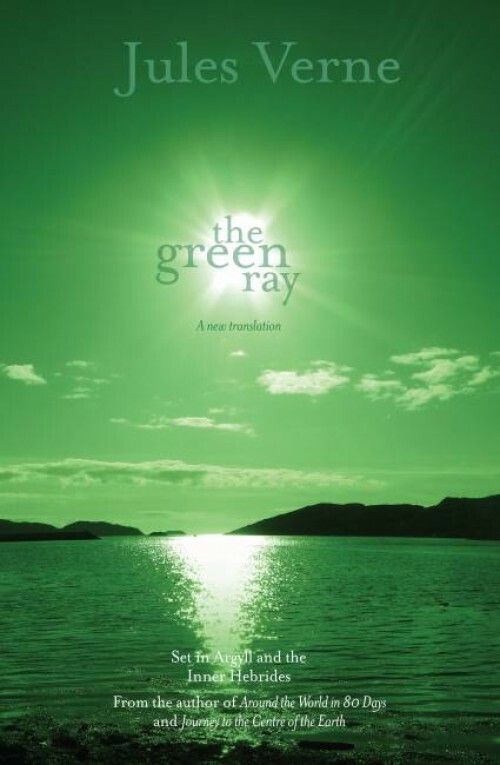 By the way, The Green Ray film ends in much the same way as the novel. Delphine meets a young man at the Biarritz train station who is travelling to Saint-Jean-de-Luz. She goes with him and together they observe a rare green flash as the sun sets in the background. Waay cool posting..! You had me going, but then you end so abruptly..!? Btw, all your postings are really cool.., Thank you..!! …(Oops ! ), ..Btw, forgot to mention, my Mom & Gram were great fans of J.Verne.., consequently, bedtime storytime was amazing !! !